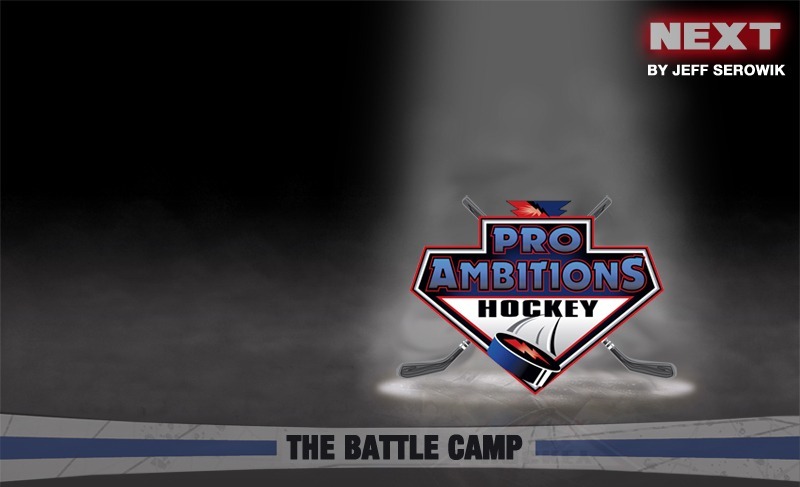 Next - Pro Ambitions Hockey, Inc. Many of you may be playing in Thanksgiving, Christmas and Holiday Vacation Tournaments this weekend or NEXT so I thought this article may be an appropriate one to send out this time of year. Big games, high profile and heavily scouted tournaments always bring on both excitement and anxiety. You want to play your best. Strive for excellence but not perfection. There is no perfect game in hockey. It truly is a game of mistakes. The teams and players that can keep their mistakes to a minimum, refocus, rebound and retry quicker and more efficiently will end up the winner. My best advice is to keep it simple. Play how you practice and don’t try to do too much. I will never forget a particular game when I was playing for the Penguins. It was here in my hometown of Boston, I think everyone I knew was at the Garden that evening. The first five minutes of the game, I was scored on twice. Obviously a defenseman’s worst nightmare. I pinched on a two on one, was gripping my stick way too tightly and was trying to do too much. I so badly wanted to have a great game that night. My coach, Kevin Constantine, sat me for the remainder of the game up until about a minute left. I was the tin man when I got back on the ice, cold and stiff. On the flight back to Pittsburgh after the game, Coach called me to come sit with him. I will never forget that conversation. It was one of the best hockey talks of my career. Pretty much the first thing he said was “ NEXT!” He told me to move on. I had been having a great season and I had a few bad shifts that led to me sitting on the bench. He told me to have a great practice tomorrow and the next day and work as hard as I possibly could until the NEXT game. “Just like you have been practicing all season, Jeff. Tomorrow is a new day.” We talked about a lot of little things that I do that he viewed as important. Many of the things he mentioned may go unnoticed to an untrained hockey eye and honestly I did not realize their value like I do now that I study the game in trying to break it down for teaching purposes myself. He was not looking for me to do anything other than play my game, fulfill my role and job on the team. Getting the puck out of our end. Defense. I am happy to report I had a stellar week of practice and the next game I played in Calgary was stellar. Just as the game previous to my disaster in Boston. Next!